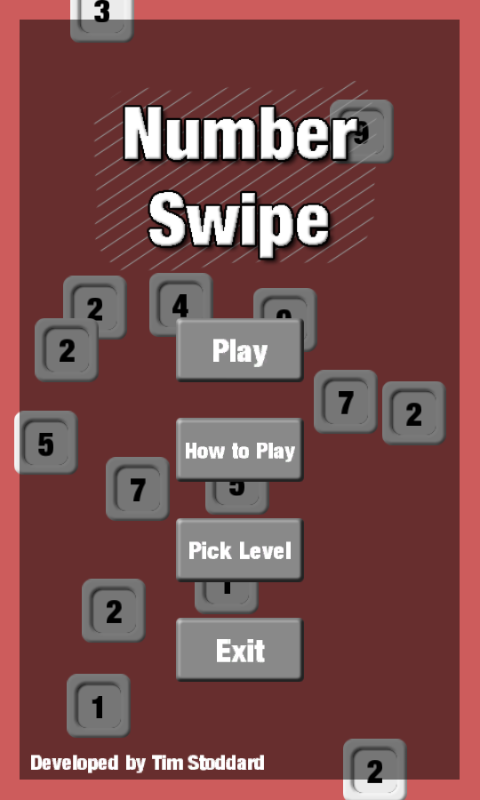 Number Swipe is a tile-based numbers game that crosses Tetris and Threes, along with basic mathematics. You must swipe the numbered tiles up, down, left or right, and when they go into other tiles they will combine to either add or subtract the numbers. You’re goal at each level is to get the numbers to reach a target to eliminate them all and go onto the next level. This was developed for the Mobile Multimedia & Gaming module at Staffordshire University, where we were taught how to develop mobile apps and games in Windows Phone with C#, and study the design, capabilties and functions of smartphones for both apps and mobile games.